Recently I had the joy of spending some of a Saturday afternoon with a beautiful friend of mine that I don’t get to see as often as I would like. After catching up over a Starbucks we decided to have a mooch around the shops, our setting was Whiteley a lovely little outdoor shopping centre just off the M27 in Hampshire. With a range of high street stores, coffee shops, restaurants, a cinema and free parking for 4 hours you can’t go wrong! We haven’t shopped together for a LOOOOOOONG time and it was lovely to (for me) do some window shopping! However, it mean that I have ended up with a wish list as long as my arm of things that I want need to spend money (that I dont have) on! So, I thought I would share with my current wish list, because it will continue to grow haha! Recipe Book – Paperchase £6 – It’s perfect, it has space for the ingredients, the method and any notes you want to make, like its your partners favourite or if it was good to make when you had friends over! Winter Coat – River Island £115 – I don’t need a winter coat, I need a transitional coat. BUT when I saw this my heart just skipped a beat it is BEAUTIFUL! However the price tag is slightly out of my league, that didn’t stop me trying it on & honestly if you need a new winter coat BUY IT. Denim Pinafore – Topshop £36 – I have one similar from Primark in Black, but there is something about this one that I love and I feel its perfect for all seasons! I have never been a lover of Topshop as I have always felt too large for their clothes, but I would definitely consider making this purchase! Chevron Leather Skirt – Marks & Spencer £27.50 – I love a skirt at winter, teamed up with tights boots and a nice top and this is perfect for that. I dont often shop at M&S for anything other than undies and good food, but perhaps I need to check them out more often! It’s just a small list, but an expensive one! I doubt I will get any of these items – but a girl can dream right? What have you got your eye on in the shops at the moment? 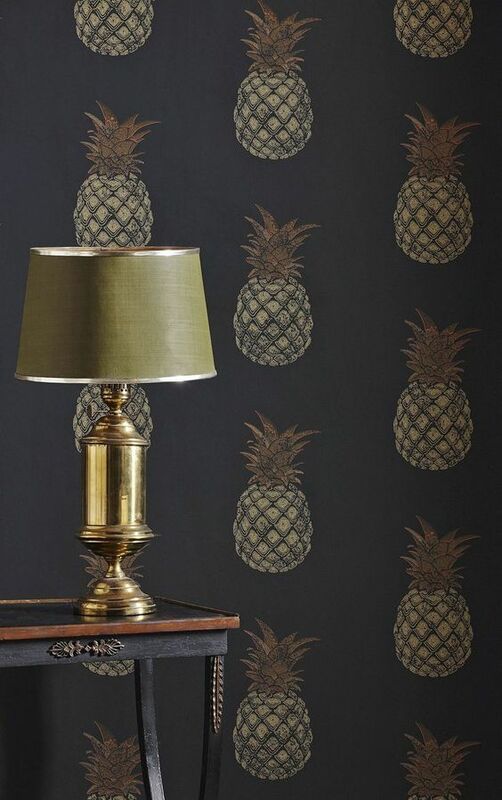 Is it just me or are there Pineapples everywhere at the moment? 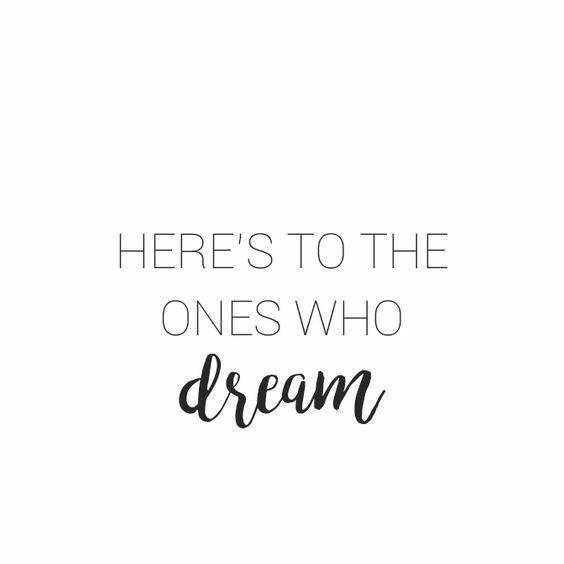 It feels like every shop I go into and every time I have a browse through Pinterest, there they are. I wonder if this song that my nieces are obsessed with have anything do do with this new craze? Whether you are looking to include them in your home decor, your wardrobe or perhaps a new item of jewelry you can pretty much pick anything up to suit your style. Don’t get me wrong, I have nothing against Pineapples, well apart from when they make your tongue fuzzy – does anyone else get that? Or is it just me? 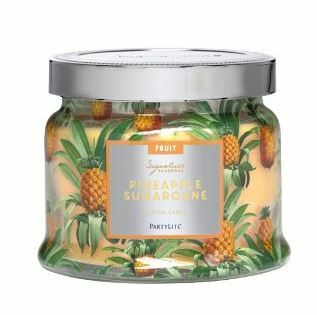 Well, I have been sucked in to the Pineapple trend and have even thought about including some pineapple decor in my redecorating plans, if you are following me on Pinterest you will notice I have done a slight overhaul on my boards and have become a frequent home decor pinner recently. I wondered how many of you have also thought about bringing this new trend into your homes and wardrobes and thought I would share with you some things I have found or even brought recently, I know that blogs are worldwide, so all of these items are UK based so may not be available overseas. A Summer Fizz Of Lush Pineapple And Crisp White Coconut Meet Sun Ripened Peaches And Pink Papaya In A Heady Coastline Cocktail. 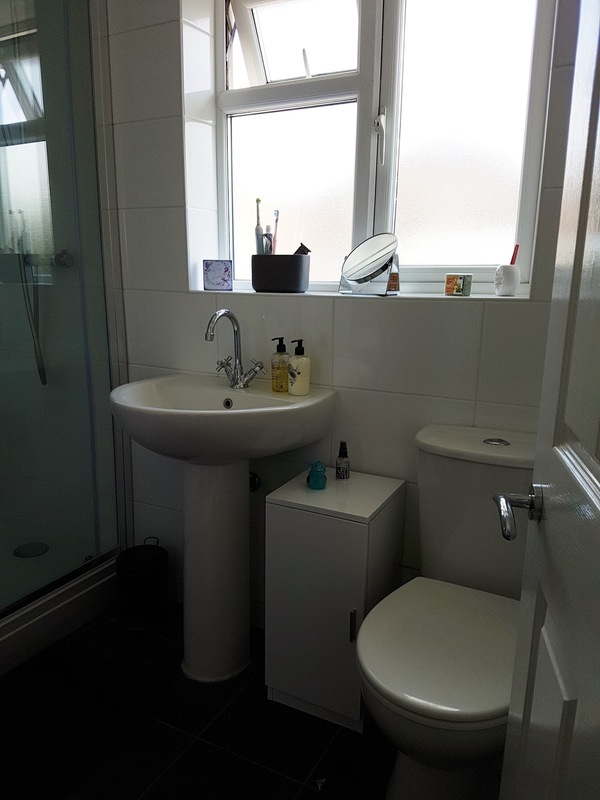 I brought the 3 wick jar when it was on offer, I think it only cost me £15 at the time, when we first moved in it was the only thing I would burn and everyone commented on how nice it was, as I am sure you can imagine I was gutted once I had burnt the lot in just over 4 weeks! I am definitely going to be ordering another Jar, they are just £19.95 for a jar which Partylite advise lasts between 24-45 hours. The one thing that has always frustrated me with Partylite is that you used to have to order at a party, but now you can buy online through your consultant. The cost is no different, there is just a charge for postage & packaging, but its £3.50 no matter how much you buy! So I am going to buying online through my consultants website, why not browse yourself – just click on this link! We were in Homebase the other week buying our new tiles for the bathroom (they are totally gorge by the way!) and decided to have a look round the wallpaper section, trying to find something to go in the Kitchen and I stumbled across some wall stickers. 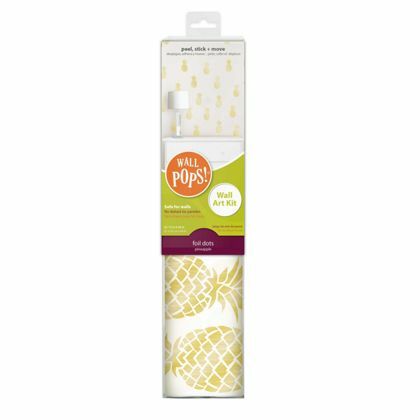 They were mainly for nurseries and kids rooms, but I spotted some lovely gold polka dots which I thought would go nicely in our smallest room (I want to claim that room as my closet – I have no chance), when my eyes spied some cute gold Pineapple stickers. 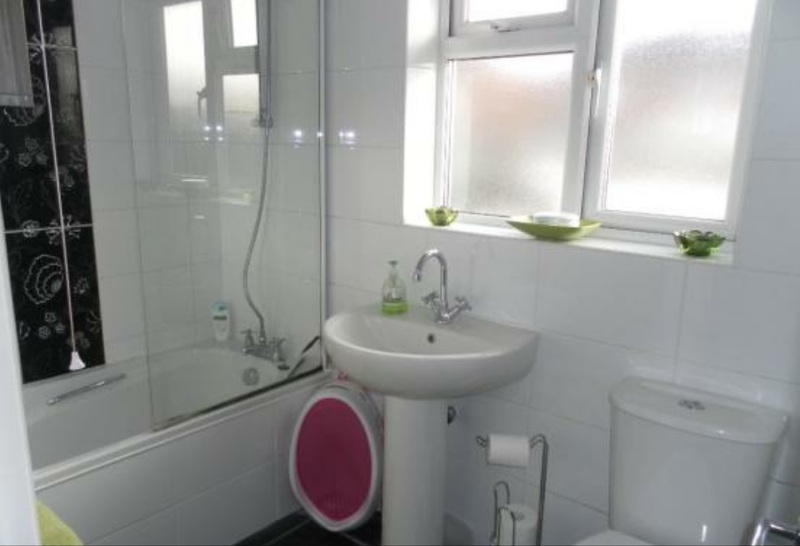 I am not overly sure what I want to do with our spare room, but I thought they would go quite nicely with the furniture we have in there at the moment. 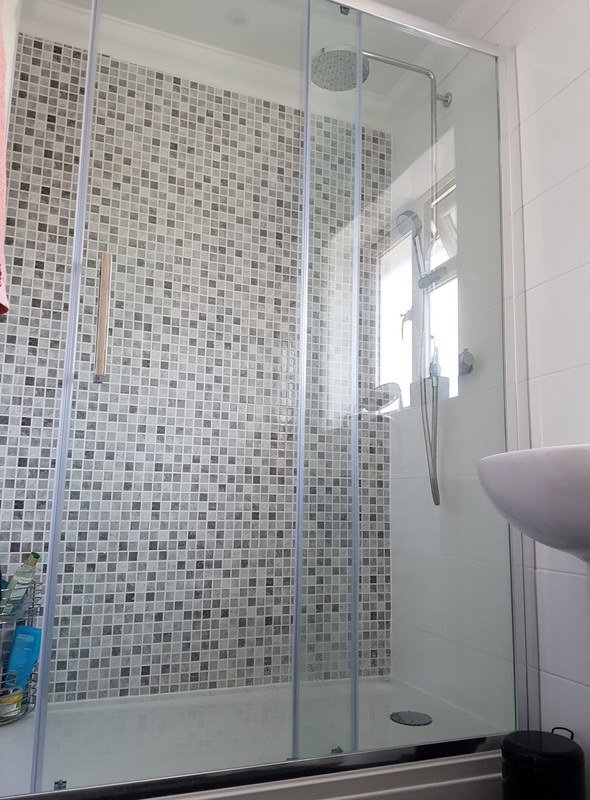 The pack costs £9.99 and for that you get 40 gold stickers, which should be just enough to cover a small wall, or perhaps get 2 boxes and create a border around the room. 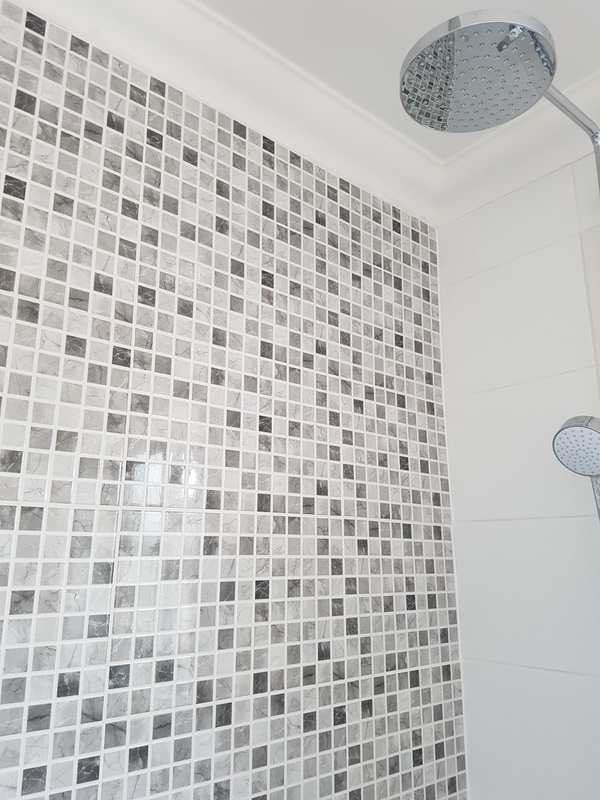 It works out a lot cheaper than buying actual wall paper and according the website they are easily re positional as well. I have been hunting through Pinterest for some inspiration as to how I can include these in my decor for the spare room and I love this idea. I love my photos and I love nothing more than displaying them, I am yet to update my frames and get them up around the house but I have some things up my sleeve and just biding my time. 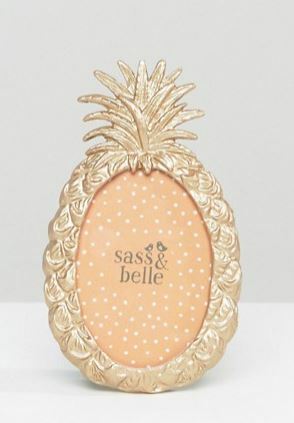 I have a soft spot for black frames, but every so often I like to mix things up a bit and what a perfect way to this with this £10 Pineapple frame from Sass & Belle on asos. 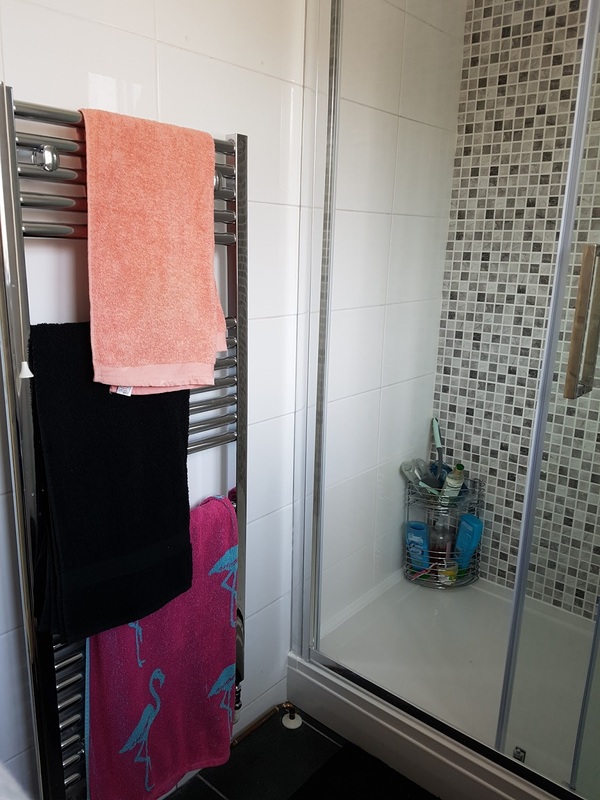 It’s perfect for the hallway or a teen bedroom, ideal for displaying your favourite picture of you and your loved one. Perhaps your looking for something a bit more subtle that you can mix up with your spring/summer wardrobe? 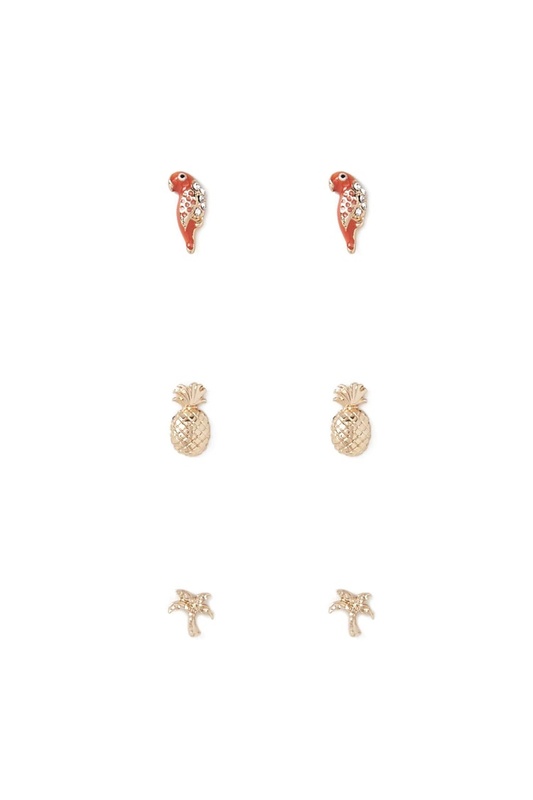 I found this cute earring set on the Forever 21 website, 3 different stud sets for just £3! Perfect for that trip to the beach or cocktails with the girls. Maybe a new charm for your bracelet? 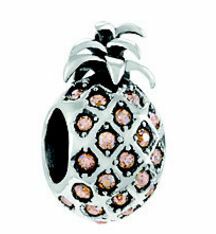 Hit up H Samuel to get your hands on this GORGEOUS Chamilla Pineapple charm for £45. I think is adorable and I know people that have added Chamilla Charms to their Pandora bracelets and vica versa, so why not! I love pineapple especially at our local Brazilian restaurant when they warm it with cinnamon its lovely. I have found these lovely sounded recipes on line that I thought you might want to try too! 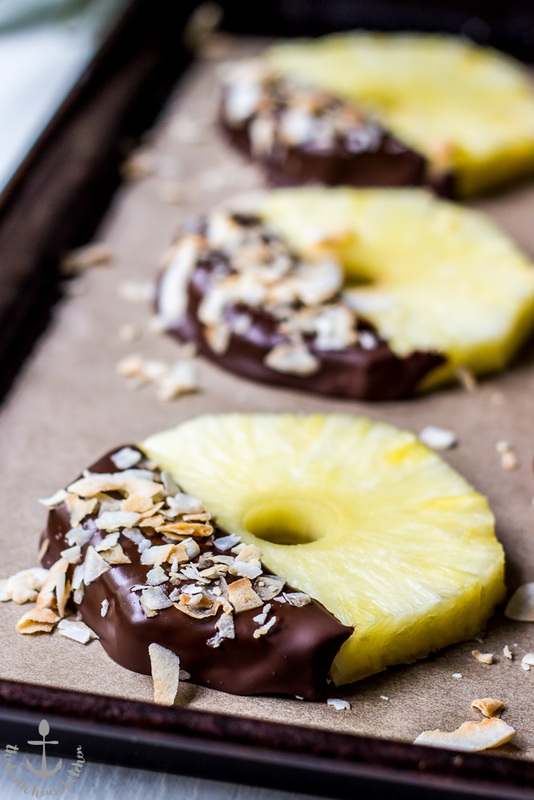 The Beach House Kitchen’s Chocolate Dipped Pineapple Slices – how lovely do these look and if you were to use dark chocolate it would definately be a healthier snack. 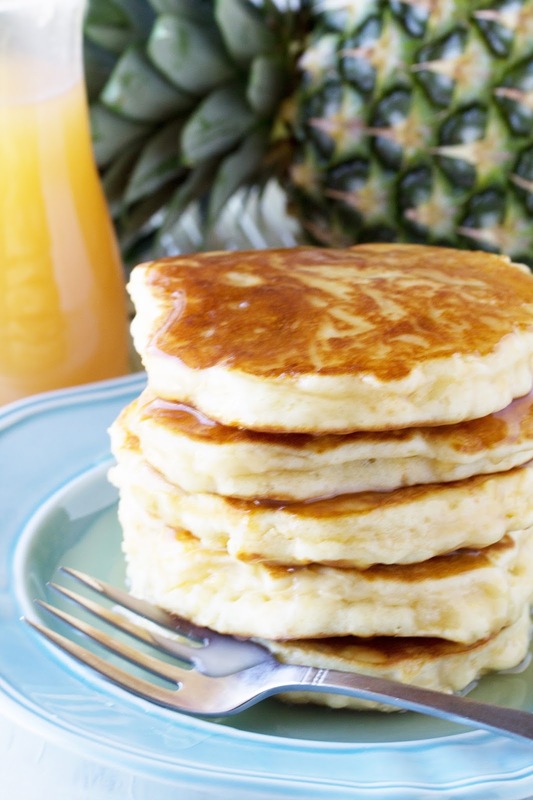 The Stay At Home Chef has done wonders with this reciepe, Pineapple Pancakes with Coconut Syrup! I can just picture myself sat in our garden, the morning sun beating down on me whilst I sit eating a plateful of pancakes and a morning cocktail (why not – I am on holiday in my dream). I cant wait to try these! 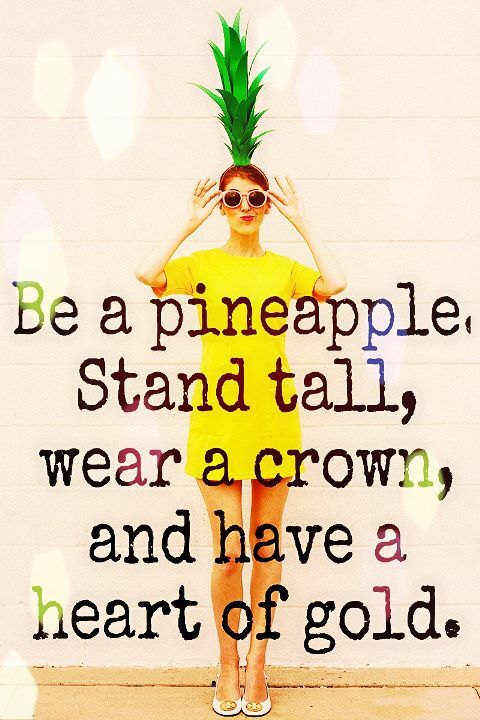 Well, I hope I have given you all some inspiration as to how to bring some Pineapple sunshine into your cold wintery Febuary! I love the winter and definately prefer being cosy, but there is something inside me that just cant wait for the weather to get a little bit warmer!